The goal of informing an audience is straightforward and employs equally straightforward methods. The goal of manipulating an audience, however, is more complicated. It involves not only manipulating the current facts, but also reaching back and forth through time to revise both distant and recent history. A recent example drawn from Bloomberg, illustrates how this process is done as the Western media works to target and undermine one of many nations slated for Western-induced political unrest and regime change. 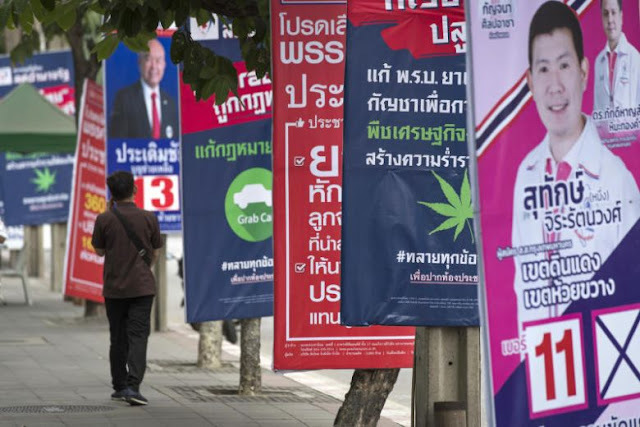 In 2011, the US-backed political party of Thaksin Shinawatra bought off voters with promises of unprecedented government handouts, including unheard of subsidies promised to the nation's rice farmers. The predictable result was a glut in rice supply, immense corruption as the Shinawatra government attempted to move the rice as prices crashed, and the incremental collapse of Thailand's long-standing, well-established position in global agricultural markets. 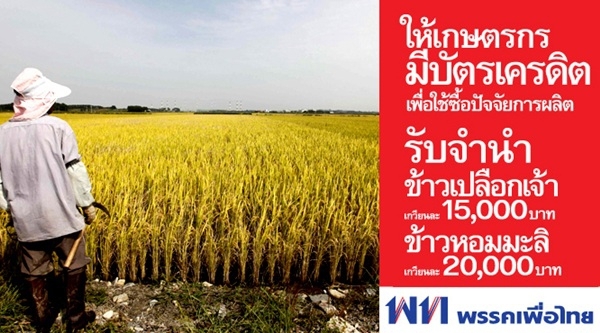 And as the Shinawatra government's reckless vote-buying subsidies destroyed the Thai rice market and undermined confidence in Thailand's trade partners regarding rice quality, Thailand's neighbors continued improving their ability to grow rice at competitive prices and with superior quality. By the time the Shinawatra government was removed from power after failing to brutally suppress street protests and being swept from power by a bloodless military coup, over a million Thai rice farmers had been left with their rice rotting in government warehouses and without the subsidies promised by Shinawatra's political party. The military-led government that replaced Shinawatra would be tasked with not only paying the farmers their promised subsidies, but to also rebuild Thailand's rice industry. This would include initiatives to help farmers diversify their economic activities with the demand for Thai rice having been significantly reduced between 2011-2014. Despite this reality, Bloomberg in its recent article decide to start its coverage of the crisis in 2014, blaming the damage to Thailand's rice crisis on the weather rather than economic mismanagement and corruption beginning under Shinawatra in 2011. Prapatpon, 48, returned to school last month for a state-funded training program designed to wean farmers off water-intensive rice and teach them how to grow other crops. With lessons spanning everything from accounting to chicken husbandry, the government is trying to reduce a record stockpile of the cereal at a time when farmers are facing the worst drought in two decades. For more than a decade, Thai rice farmers were cushioned by subsidies. The support won rural votes for former prime ministers Thaksin Shinawatra and his sister Yingluck. It also led to a 20 percent jump in rice production and a record 17.8 million-ton stockpile that the current government is struggling to sell. Cutting output will reverse a global oversupply that’s depressed international prices, but coaxing farmers to plant less rice requires careful diplomacy. ...While some farmers are becoming frustrated with their economic situation, there isn’t a lot they can do to express their feelings publicly under military rule, said David Streckfuss, a Thailand-based academic and the author of books on Thai law and politics. Streckfuss, interestingly enough, was one of the many Western propagandists attempting to cover up, excuse, and otherwise lend support to Shinawatra's government as it collapsed in the face of expanding street protests in 2013-2014. Streckfess and others would even go as far as covering up armed violence aimed at protesters, carried out by the Shinawatra government. It is no surprise now that Streckfess and platforms like Bloomberg are once again attempting to shift blame for the current rice crisis, provide a Western-backed opposition with a clean slate, and open a vector for political unrest against the current Thai government. Attempts to undermine Thailand's current political order fits into a wider agenda of reasserting US-European hegemony over Asia-Pacific, and more specifically, to surround China with either Western-backed client regimes, or failed states incapable of assisting China's geopolitical and economic ascension. 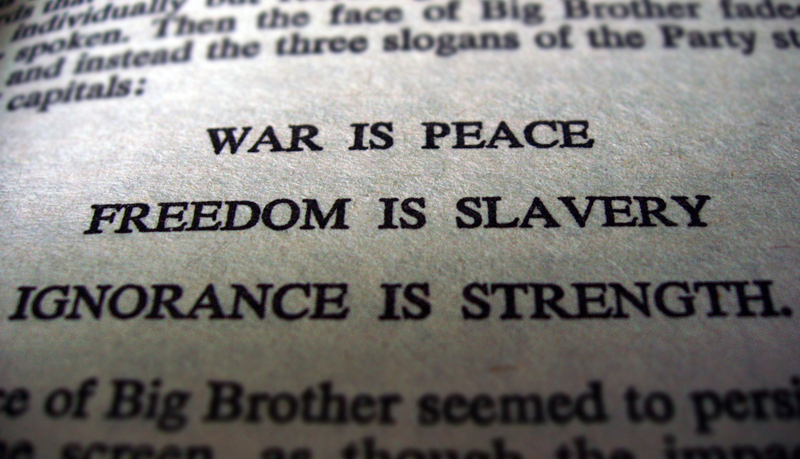 It is an agenda being engineered by corporate-financier funded policy think tanks whose work is almost inseparable and indistinguishable from that of the Western mainstream media. Because of the centralized nature of the interests driving this agenda, this is a pattern repeated throughout Western mainstream media reports, revising reality they themselves had documented but are now backtracking on. Other examples of this have been documented in Ukraine, Syria, Libya, Iraq, and Yemen. Even with admissions inserted into their own articles, the Western media attempts to mislead readers into believing alternative realities despite the stated facts. That Bloomberg can introduce doubt in a reader's mind regarding who is responsible for a rice crisis in Thailand, despite admitting to the glut in supply incurred by the Shinawatra government's previous and reckless policies, illustrates just how manipulative rather than informative Western mainstream media actually is. Understanding and recognizing this pattern of deception and "revision," allows the global public to read and discern for themselves the veracity of claims both in the Western media, or in any media for that matter. Depending on "fact checking" by organizations linked to those being "checked" leads to obvious conflicts of interest and predictable impropriety. Readers arming themselves to do their own fact checking is the only real viable option. Genuine sources of information will implore readers to think and determine the truth for themselves, those preying on and encouraging ignorance will offer to do their audience's thinking for them.